There is a growing need for a tool that allows outsourcers to blacklist or at least publicly comment on unreliable translators. 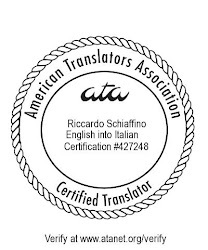 Each translation company has its own grading system but, generally, information is not shared. Dealing with unprofessional translators is costly, time consuming and can have serious reputation consequences for a translation company if and when corrective steps are not pursued. It is fundamental that such tool is created through the cooperation between agencies and freelancers, for instance on a site like Proz, and I am convinced that professional translators would benefit from it. There are many things wrong with this, from the fact that such a system is morally repugnant (given, among other things, the power disparity between translators and agencies, as a wiser colleague points out in the same thread) to the certainty that it would be abused by unscrupulous agencies, and to the completely unwarranted facile assumption that "professional translators would benefit from it". Even if one wanted to look at this from the point of view of a translation agency, such a system would signify a complete abdication of the translation agency's own responsibility: "dealing with unprofessional translators is costly, time consuming and can have serious reputation consequences for a translation company" - yes, selecting unsuitable translators would damage a translation company's reputation - and that's precisely why translation companies should take full personal responsibility for the whole selection process, without trying to fend off all or part of the selection to an unethical and unprofessional idea such as this. It is unreasonable that agencies compare themselves with freelancers (if agencies have a BB, then freelancers should too). Agencies are usually big companies, with separate legal and marketing departments and can easily cover a bad feedback from a translator. BB is mostly for translators to avoid working with non-payers. Agency clients don't have access to BB, so it doesn't really matter for them. Whether the entry is good or bad, they don't lose clients. A blacklist for translators is exactly the opposite. One bad feedback and that translator should start searching for a new job. No way he/she would be hired further. Stupid idea overall. I hope ProZ doesn't take it seriously. What a laughable, yet terrifying, idea. I agree, I hope ProZ doesn't take this seriously. On the other hand, agencies might be forced through this to pay what jobs are actually worth. The unskilled work-for-pennies folks would certainly end up on the blacklists... or no? The subject of this post should rather fall under the heading not of "anti-translator idea of the week", but rather that of "anti-translator idea of the year". Haven't seen such a harebrained notion in a very, very long time. The client feedback feature in our ProZ profiles ought to be quite sufficient, in addition to feedback that may be found on our websites and other areas of the internet. That reminds of those "How am I driving?" signs. I agree. It's a rotten idea. I’m glad I found this site. I have read your article and found it to be very useful especially for people who are not sure of which path to take. In life, we need to constantly be motivated. We have to motivate ourselves as well as others to keep us from feeling worthless. In this world there are so many things to think about and sometimes stress gets in the way and we end up losing faith in ourselves. But if you will follow the rules of motivation, it will surely be your number one best friend for it will guide you along the way. I hope to read some more of your tips and thanks for sharing your thoughts. Enough about bad translators and hatred, we should better think about improving our translating abilities and about opening doors to new methods and technologies. Here is something useful http://poeditor.com/, a localization tool that supports collaborative work for translating apps and websites. It should take your mind off things.